Have you ever cried at work? I have. I was a server at a popular restaurant at a theme park in Florida. We were slammed. I had multiple tables inside the restaurant and on the patio, one of which was a party of 12. I was doing my job as a server – with the typical smile on my face – and then it happened. I dropped the check at the party of 12 and when I came back to pick it up they asked to speak to my manager. I said of course, and asked if everything was okay. They were mad that I added gratuity to their check because they said I did a horrible job and they wanted to tell my manager and get the tip taken off the check. That is when I broke. I started crying. Which was unusual for me because I have had people complain in the past (some people are just hard to please! ), and it hadn’t bothered me. Also, I had other tables for me in the area tell my manager I was doing a great job. So why was I so upset?! The answer is emotional labor. Emotional labor refers to the notion that workers manage their feelings and expressions to help their organization profit (Hochschild, 1983). Some researchers have referred to it as “service with a smile” (Grandey et al., 2005). There are two main forms of emotional labor: deep acting and surface acting (Grandey, 2000). Deep acting is said to be like method acting (Stanislovsky, 1965), in which employees attempt to make their feelings match with the organization's display rules rather than just altering their expressions. On the other hand, surface acting refers to when employees modify their displayed emotions without working on their inner feelings (Grandey, 2000). Surface acting causes employees much more cognitive dissonance than deep acting because employee’s inner feelings do not match their displayed emotions and therefore, surface acting in particular is tied with more negative outcomes than deep acting (Hulsheger & Schewe, 2011). "Service with a smile" can be quite beneficial to an organization from a customer satisfaction viewpoint, but it can be detrimental to your employees (Grandey, Diefendorff & Rupp, 2013). Part of the reason is because it sets up a dynamic where the customer is always right. They can say anything they want to the employee, all while the employee must smile and say nothing. These suppressed feelings can lead to negative employee outcomes such as stress, burnout, decreased job performance, and turnover (Brotheridge and Lee, 2002; Goodwin, Groth & Frenkel, 2010), which are obviously detrimental to the organization. Suggest employees seek support from coworkers or allow workers the opportunity to consult or vent about negative customers interactions (Grandey, Foo, Groth & Goodwin, 2012). This peer support will encourage and motivate employees. Give individuals the opportunity to be themselves (Edmondson, 1999). Sometimes employees may feel that they may lose themselves by always putting on a face to customers. During breaks, encourage employees to talk about themselves, their interests, their goals, and any upcoming plans. Encourage employees to take designated breaks. 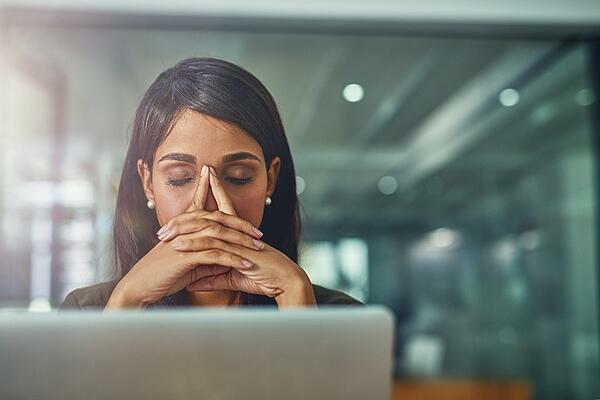 A few moments to de-stress will help employees release the negative energy behind the scenes and return to their customer-facing role with a fresh perspective. If possible, allow employees to opt out of the emotion evoking incident once a dissatisfaction has become obvious to avoid negative interactions. Suggest that your employee focuses his or her attention on something else, essentially distracting themselves from the negative occurrence. This is called Attentional Deployment. Provide a cognitive re-frame (Gross, 1998) – one of my coworkers calls this “bright-siding it.” Offer employees a different narrative by pointing out any positives in a negative situation – perhaps this gave them an opportunity to learn or to practice their problem-solving skills. The moral of the story here is, organizations, particularly ones in the helping fields (e.g., healthcare) or ones that focus on customer service (e.g., call centers), need to develop policies that protect their employees against the negative effects of emotional labor. These policies could involve scheduled breaks as well as encouraging individuals to speak up and connect with their coworkers. Additionally, organizations should work to train individuals on deep acting strategies and cognitive re-framing.